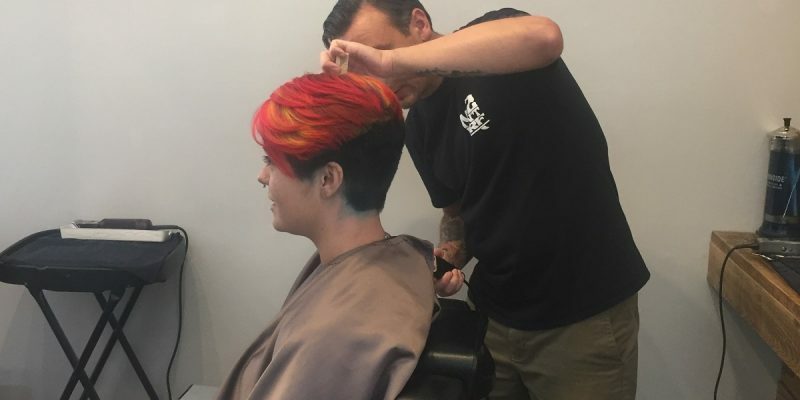 The undercut hairstyles & designs at Tabula Rasa Salon in Charleston, SC give a new twist on a classic cut that’s been the go-to style for decades. To get the look, stylists leave the hair long on top, part it on the sides or in the center and buzz the back of the hair and sides very short. There are several fun variations on this traditional style and many ways to make the cut unique to you. Brought over from Europe, this popular cut was traditionally seen on men starting in the 1920s, when the average man couldn’t afford a barber that was well-trained in blending cuts. The hairstyle remained popular throughout the 30s and 40s. In 1980, there was a resurgence of the cut in stars like David Bowie and Prince. Then in the 90s, the look took on a new persona as the bowl cut became cool and punk rockers began to redefine society norms with their multicolored Mohawk versions of the cut. Then, in the early 2010s, the look resurfaced with an edgier, sexier feel (Thank you, David Beckham!) and today, with stars like Miley Cyrus, Katy Perry and Rhianna killing the look, women have been sporting the cool cut too! 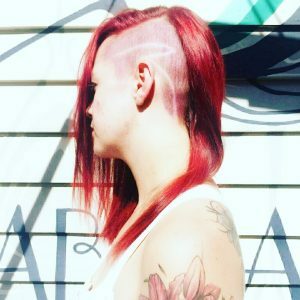 For an updated look to this famous cut, Tabula Rasa Salon in Charleston, SC offers hair detailing services, providing designs and cuts in your hair that can help you stand out in the crowd and redefine your own style. Whether you want cuts in the side of your hair or an intricate design in the back, our stylists can give you the look you crave. No matter your age, the undercut hairstyle can work for you. The first step to finding a look that’s right is a consultation with your stylist. 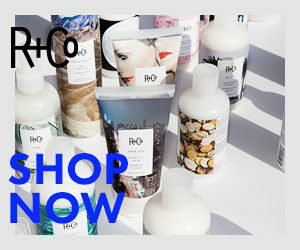 Included in your price, your stylist will help you decide which look matches your face shape. Some favorite looks are the military undercut, the Mohawk undercut and the fade, which takes a shorter buzz at the bottom, a medium buzz in the center and leaves a long look on top. 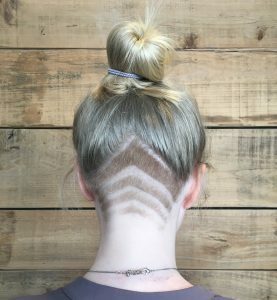 Women usually go for an undercut with designs underneath long hair that can only be seen when the hair is put up in a ponytail, a buzz on the side of the head just over the ear with cute designs or a shave on the bottom with longer hair on the top. 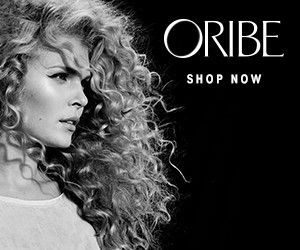 Book Your Undercut Hairstyle & Design Service in Charleston, SC Today! If you’re in the mood to look hip and show off your inner rock star, you need a professional to help take you to the next level. Whether you’ve been getting the cut since 1980 or you want to try a daring new style, book an appointment with Tabula Rasa Salon to ensure you get the advice and service you need. Our professionals will give you an honest consultation and provide you with the cut you’ve been hoping for. Visit us in downtown Charleston today!